Notifications are actionable messages sent from the operating system and applications. They highlight and communicate important information with HMT users. 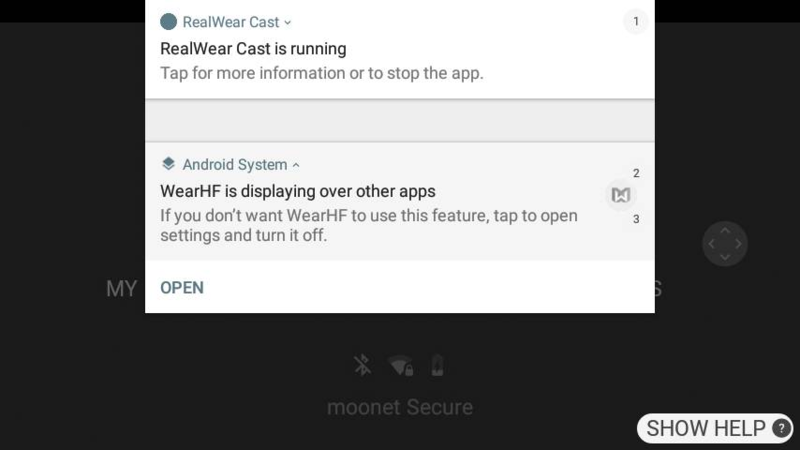 Notifications on the HMT are easy to access at any time, just say “SHOW NOTIFICATIONS”. To close the Notifications panel simply say “HIDE NOTIFICATIONS”. Recent notifications are presented as items in a list. You can open a notification by first selecting it, say “SELECT ITEM #”. When selected, say “OPEN” to view. When a notification is opened, a more detailed view is displayed. From this view, specific actions can be taken.As a reminder and quick reference – when on the Home Screen, and you have notifications, the number of notifications will be displayed in the top left corner. “SHOW NOTIFICATIONS” Opens the list of notifications. “SELECT ITEM #” To view a specific notification.